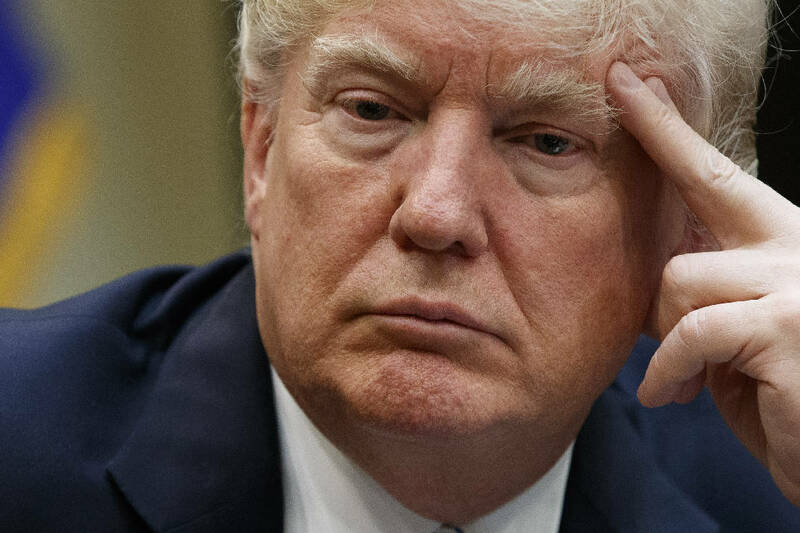 WASHINGTON (AP) - Regrouping after a rocky few weeks, the White House declared Monday that President Donald Trump doesn't consider the health care battle to be over, suggesting he may turn to Democrats to help him overhaul the system after his own party rejected his proposal. The sudden interest in bipartisanship is a shift for a president who has spent months mocking Democratic leaders as inept. And Democrats indicated they have no interest if his intent is still to dismantle "Obamacare." But Trump's interest reflects the strained state of his relations with conservatives in his party and his search for a way to regain his footing after the painful withdrawal of his health care legislation last Friday. "I don't think we've seen the end of health care," White House spokesman Sean Spicer said Monday, pointing to "a series of fits and starts" that marked the process that led to passage of President Barack Obama's health care law, too, in 2010. Trump's failure to win the votes to pass his bill has prompted the new president to rethink how he intends to promote his agenda in Congress. White House officials are signaling a renewed focus on job creation, taxes and the administration's push to win confirmation of Judge Neil Gorsuch to the Supreme Court, a bright spot for the president. House Speaker Paul Ryan huddled at the White House with Vice President Mike Pence, Health and Human Services Secretary Tom Price and White House chief of staff Reince Priebus to discuss the legislative agenda, a Ryan spokesman said. Yet the rosy notion of Democratic cooperation glosses over recent history. Trump is viewed with broad contempt among the party's base. Before his inauguration, the incoming president called Senate Democratic leader Chuck Schumer the "head clown" in tweets about the health care law. Schumer said in light of the withdrawal of the House bill the president should no longer attempt to undermine the Obama law. "He's in charge, people want him to make their lives better, not make them worse because of some political anger or vendetta," he said. In the meantime, lawmakers face the possibility of a partial government shutdown on April 29 unless Republicans and Democrats can manage to pass a federal spending bill or provide an extension of current funding levels. Trump had initially blamed Democrats for the health care measure's failure, predicting an eventual collapse of the law. But he later acknowledged a more widely held view: That the bill was undone by hard-line conservatives of the House Freedom Caucus, who refused to back a measure they said did not go far enough in repealing the current law. Trump on Sunday complained on Twitter that Democrats were gleeful that "the Freedom Caucus, with the help of Club For Growth and Heritage, have saved Planned Parenthood & Ocare!" Spicer on Monday reiterated that Trump had learned "a lot in this process about loyalty" but brushed off questions of whether the president had written off working with conservatives. He also dismissed suggestions that Trump encouraged his 27 million Twitter followers to watch Judge Jeanine Pirro's program on Fox News on Saturday as a slap against Ryan. Pirro opened her show with a call for Ryan to resign. Republicans warned that a blame game would be counterproductive. "It would be a huge mistake for the message on this failure on health care to be to assume that conservatives won't be good allies," said Matt Schlapp, the chairman of the American Conservative Union. "Most conservatives stood with the president." Publicly, Trump on Monday greeted female business owners to a round-table discussion on jobs and later joined with Republican lawmakers and members of his Cabinet as he signed into law bills focused on overturning Obama era regulations. "I will keep working with Congress, with every agency, and most importantly with the American people until we eliminate every unnecessary harmful and job-killing regulation that we can find," Trump said. The White House also has sought to deflect attention from Trump's troubles. Attorney General Jeff Sessions opened Monday's daily briefing at the White House with a vigorous new call for "sanctuary cities" to comply with federal laws or risk federal funding. The administration has targeted cities which shelter people living in the country illegally by refusing to help the federal government enforce immigration laws. Post-health care, many issues remain for the White House. Gorsuch, Trump's nominee for the Supreme Court, remains on track for confirmation with solid support among Republicans. The Senate Judiciary Committee is expected to vote on the judge on April 3. While the House is moving forward on plans to overhaul the tax system, the White House has not yet made its views explicitly clear on what approach it would support and there is a broad expectation that the work could stretch beyond Capitol Hill's self-imposed August goal for completion.